in the reading time read the requirements for all four questions – don‘t bother looking at the figures nor the notes relevant to the questions. Just read the requirements. 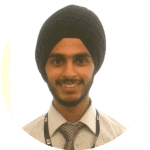 Interview with Tejot, ACCA Global Prize winner, who scored 90% in the Paper P2 June 2014 exam. Please tell us in which country you live, and what work do you do. The suggested solution concluded, without any cautionary note, that the statement was clearly true. Accounting for Intangible Assets article is relevant to ACCA F7 and P2 and CIMA financial reporting papers. This article is relevant for ACCA F7 and P2 plus AAT and CIMA papers. In this article, Steve Collings looks at how an entity should account for non-current assets which have been classified as held for sale.